It makes sense to invest in Kenya. Over the last few years, Kenya has been undergoing several regulatory reforms aimed at lowering the cost of doing business and simplifying licensing regimes. Kenya has also signed and ratified several international investment promotion/protection agreements. 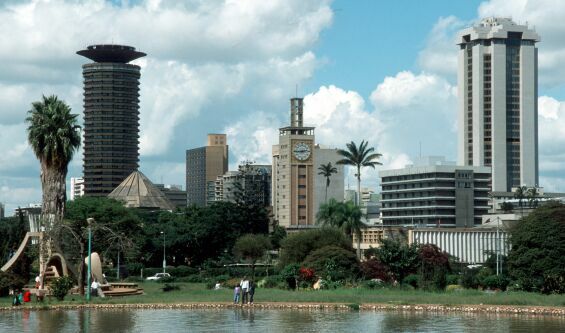 In addition, Kenya is strategically located and has fairly well developed infrastructure. A fully liberalized economy and a highly skilled work force coupled with a vibrant private sector make it an ideal overseas investment opportunity for foreigners. Seek competent legal advice in Kenya. Register your business in Kenya. The following forms of business organizations are recognized under Kenyan law. Submit your application, Articles & Memorandum of association as well as your Certificate of Incorporation to the Kenya Investment Authority. The Authority reviews the application and issues an investment licence. The Corporate tax rate in Kenya is currently 30% for resident companies. Export Processing Zones Enterprises do not pay tax for the first ten years.Non-resident companies operating as a branch under a Certificate of Compliance pay a tax rate of 37.5%. Newly listed companies can pay as little as 20% following the year of listing. Expatriate employees are allowed in cases where the skilled labor needed is unavailable in the Kenyan labor market. Expatriates must have valid entry and work permits issued by the Immigration Department. Foreign investors cannot acquire land classified as 'Agricultural' unless through share ownership in a registered that is majority owned by Kenyans. Only land classified as 'commercial' may be acquired by foreign investors. Find out how to buy land in Kenya.